Boost your ODROID-XU4 to the next level of storage performance with SSD or HDD. 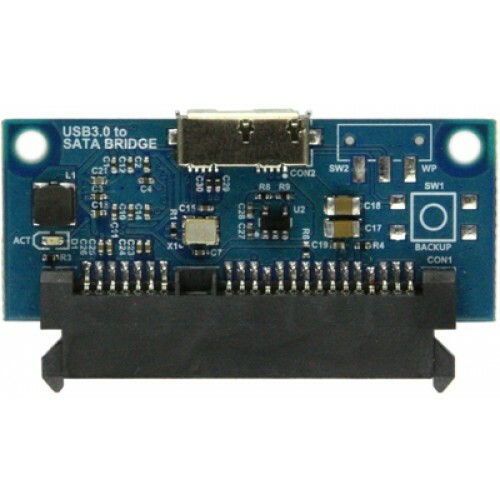 USB3.0 to SATA Bridge Board Plus contains a USB3.0 to SATA3 controller (Genesis GL3321G) allowing interfacing of a single 2.5" SATA HDD/SDD. 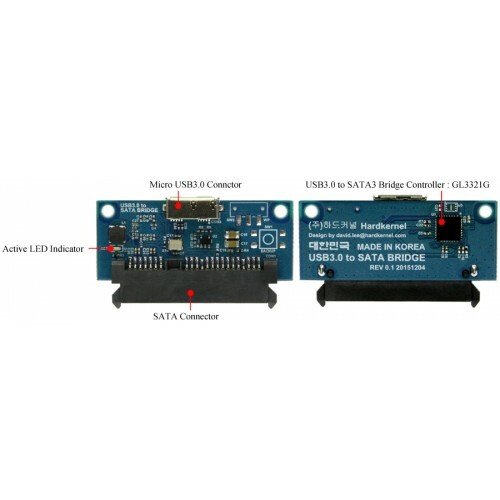 USB3.0 to SATA Bridge Board Plus offers data and power to the storage. An SSD write and read tests with ODROID-XU4 USB 3.0 on Linux platform in the real world. 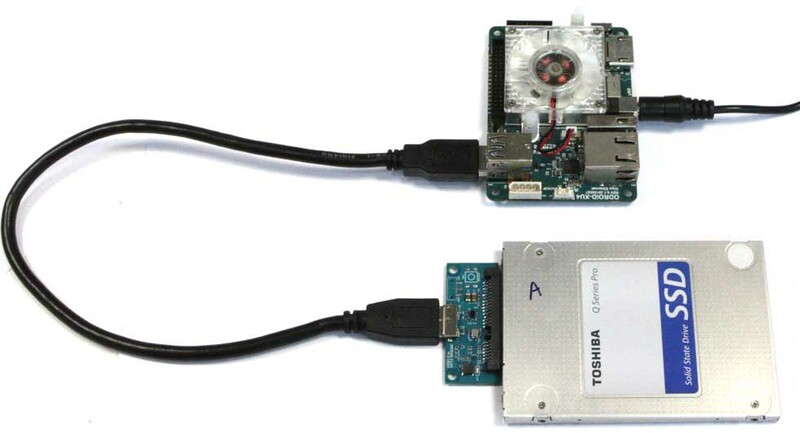 An SSD write and read tests with ODROID-C1 USB 2.0 on Linux platform in the real world.